Skip the tie. Dads love BBQ! Treat your dad (or yourself) to an all-you-can-eat BBQ buffet! For every Father, and Grandfather to dine with us we will donate $3 to the Prostate Cancer Research Foundation!! Bring Dad and Grandpa and make a difference! Let us fire up the grill! 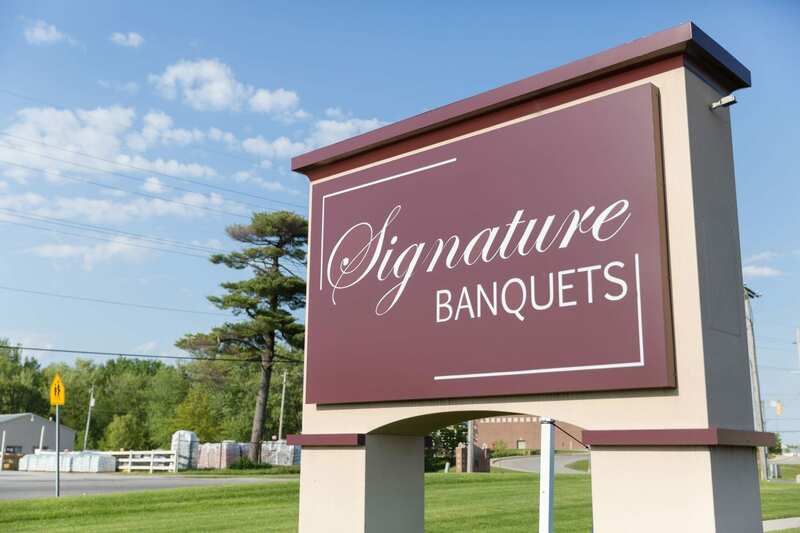 Treat Dad to a BBQ at Signature Banquets….Featuring some favorites with a twist for DAD! Honey Chipotle BBQ Roasted pork tenderloin. Slider Station: Cheeseburger, Hamburger, Pork BBQ, Buffalo Chicken with a Variety of Toppings!! Chili Bar: Chorizo and 3 Bean Chili with a Variety of Toppings!!! Two (2) complimentary drink tickets for wine or beer or Beer-mosas!!!!! Our ultimate sweet and fruit table and much much more! **Pre-payment required for parties of 13 or more.